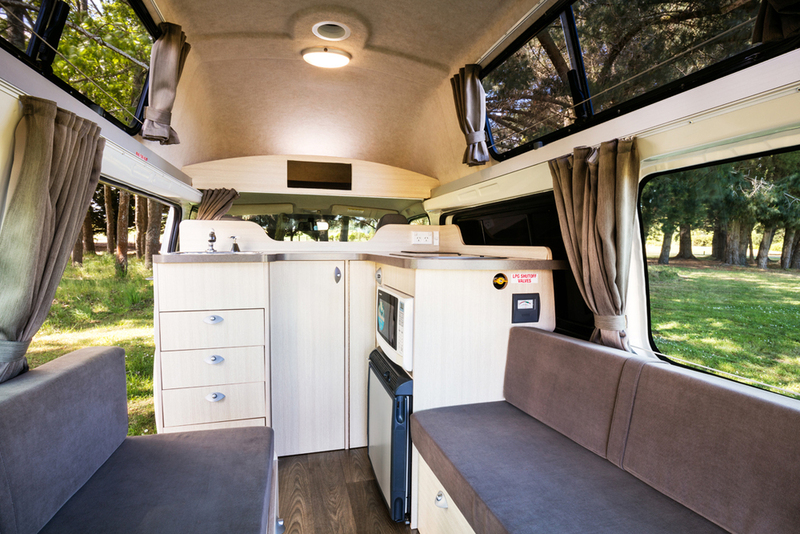 Creative design and clever use of space, along with the extra vertical space in living area, makes this vehicle comfortable for up to 3 people. All living, kitchen and sleeping equipment is provided. 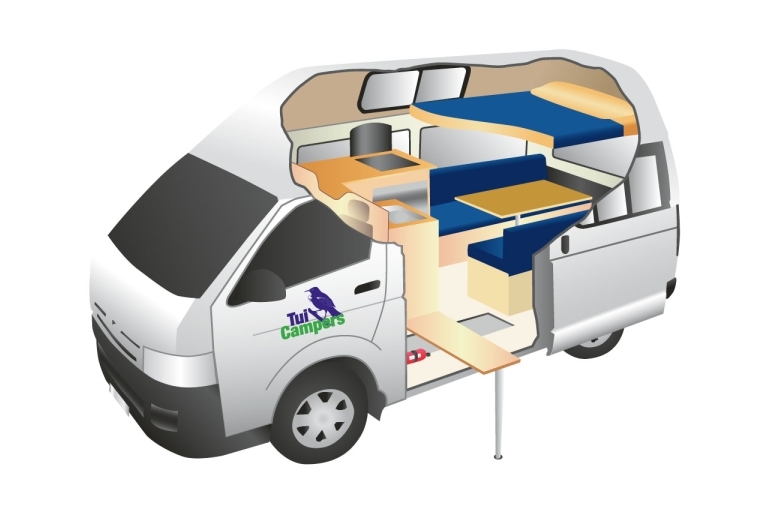 There is ample storage onboard but additional storage is possible at the supplier's branches. 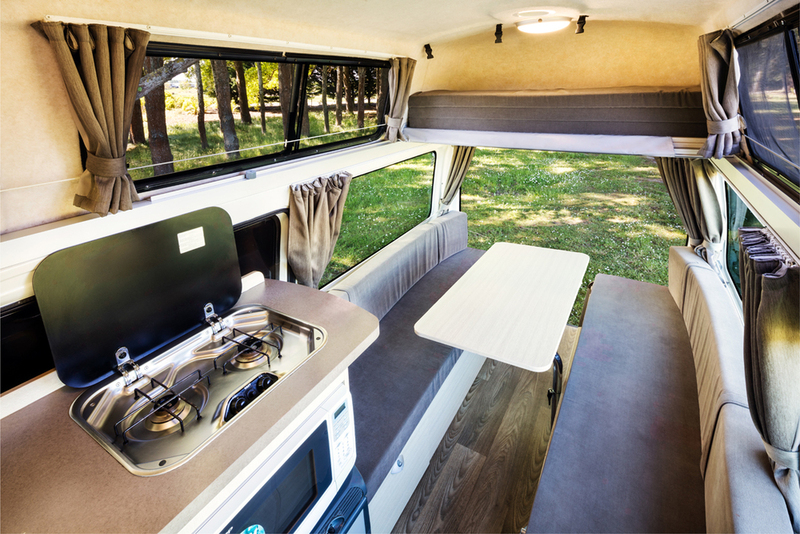 This vehicle is certified self-contained, making it ideal for freedom camping. 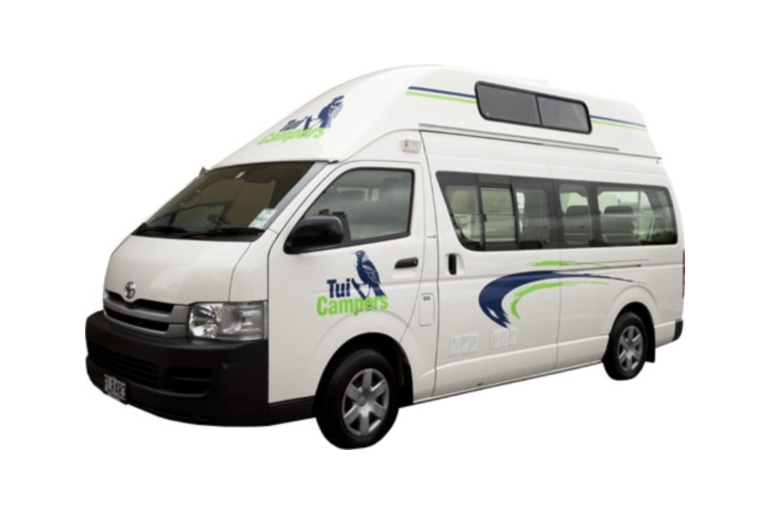 Rates include: unlimited kilometres, extra driver fee, complimentary transfers to/from the airport or airport hotels, roadside assistance and more. Vehicle is certified-self contained, making it ideal for freedom camping. Child and Baby Seats Baby seat is to be fitted in the middle seat in the driver's cab.